Don’t we all despise a layover? Uncomfortable seats, terribly expensive food and restlessly awakening from a sleepy state from time and time again. The swarm of passengers arriving and departing can be a huge turn off when you’re stuck at an airport, desperately waiting for the next boarding to begin. Despite loathing it, many of us have to resort to the layover simply because at times it is impossible to get a direct flight. Secondly, layovers are popular among passengers around the globe because they work out to be comparatively cheaper. Fortunately, airlines around the world are truly sympathetic towards your painful stay and have innovated their lounges to suite the comforts of their valued passengers. Let’s experience life inside the best first class airline lounges. They’re magical, and luckily not only restricted to the first class passengers. The advanced check-in areas makes it a no-hassle business to get the process completed. The airline knows how to calm your nerves through their magical spa facilities. 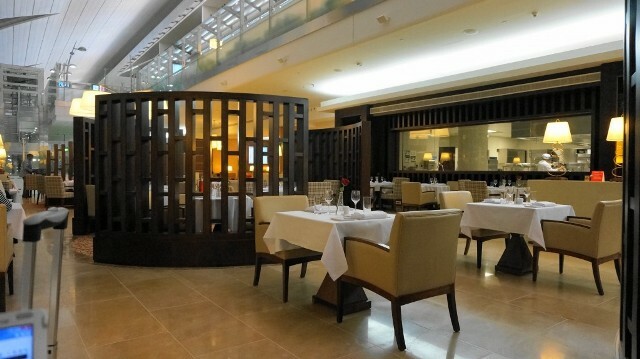 The finest quality of dining as well as the top-notch wines will make your stay at the lounge a truly amazing one! 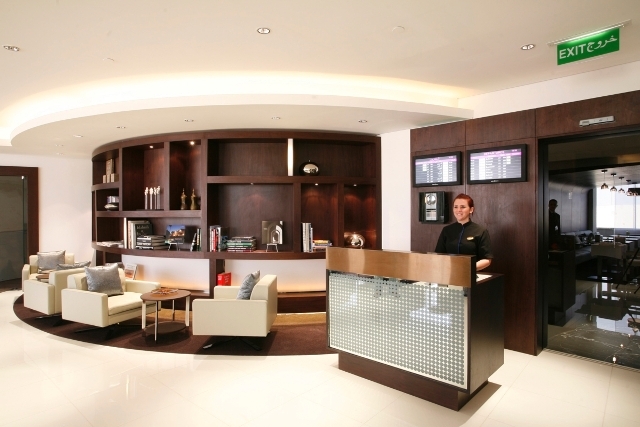 London Heathrow will surely win a lot of entries for having one of the world’s best first class airline lounges. To avail all the amazements, arrive the earliest you can. The neon lights add life to the terminal and the entire lounge defines perfection to the heights. The lively bar area as well as the working space offered to passengers is a great step by the airline. Passengers can also access the loft where you can catch amazing views of the planes frequently landing and departing. The Cowshed-branded spa facilities are most loved by the passengers. At the moment, the most luxurious Concorde Rooms are only available for the first class passengers in Singapore, London and New York. 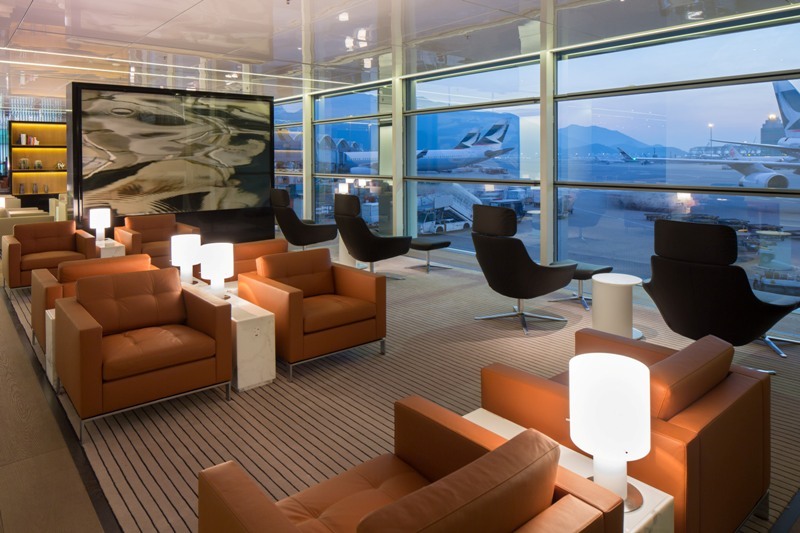 The welcome environment of the lounge is the first thing passengers are likely to notice. The lounge is marked by majestic chandeliers, royal furniture and an inspiring display of art work. Right when you arrive the airport till the time you exit, you’ll experience a welcome layover with Air France. 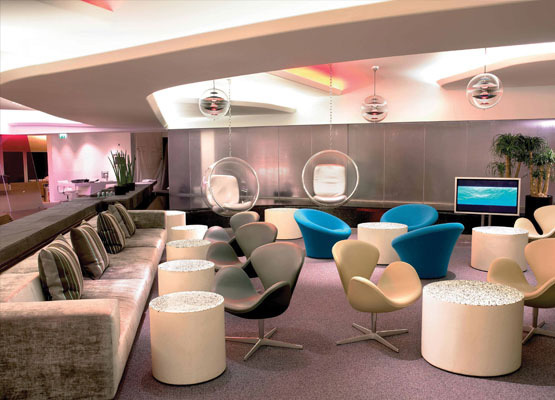 The La Premiere Lounge defines perfection and makes your boarding a very convenient experience. A chauffeured luxury car, amazing dining experience and the private suite are some of the outstanding elements of the lounge. The first class lounge of the airline defines luxury. You can benefit by enjoying personal space and the exclusive check-in is a great start to the journey. Whether you wish to relax on a sofa or work on a personal counter, the airline will facilitate your needs in the best way. Emirates has been the talk of the town since quite some time. The marvelous lounge located at the terminal 3 of the airport is the finest way to begin your journey. Bling, luxury, comfort and entertainment fuse together and form a brilliant combination at the Emirates First class lounge. The lounges form the first impression and Lufthansa successfully manages to bring the first class feeling. The warm and welcoming lounge and the exceptional services of the airline stand out at the airport in Frankfurt. It believes in being exclusive and there is a first class terminal in which you’ll experience the magical spa and well as their special senator spa. The airline claims it to be a ‘world of comfort and convenience’ and it doesn’t fall short of this claim. The lounge is the perfect spot to relax, work and even work. There is an area designated to the children so it’s extremely family friendly. The Style and Shave facility as well as the spa that awakens all your senses is remarkable. The Royal First Lounge is truly exceptional in every manner. The availability of private rooms, buffet bar and internet access are some of the amazing features of the airline’s lounge. The services offered by Royal Orchid Spa to the first class passengers would relax you beyond your expectations. The SilverKris Lounge is an amazing creation of the airline and there’s no better place to refresh before a long-haul flight. Located just next to the Business class lounge, the furniture, dining experience, world class entertainment and the friendliest airport staff makes the layover a marvelous experience! From chauffer driven cars, mind blowing spas and world class facilities, these best first class airline loungescan make layovers feel amazing for once!